Cook up a storm with me, or just sit around and do nothing. Completely upto you really. 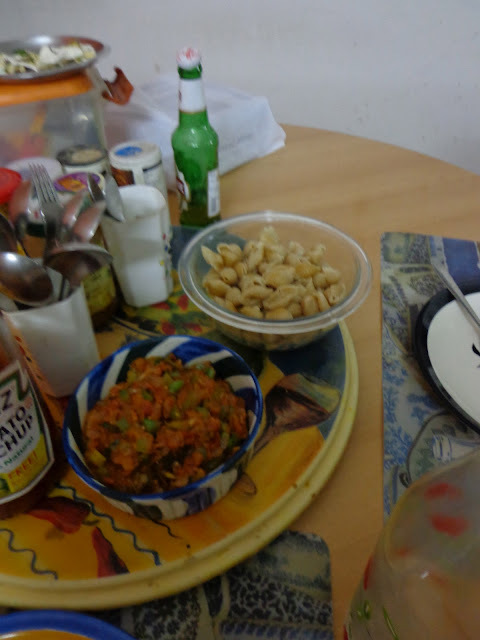 So im blogging after really long, and I planned to give this recipe out, and I will do so today. 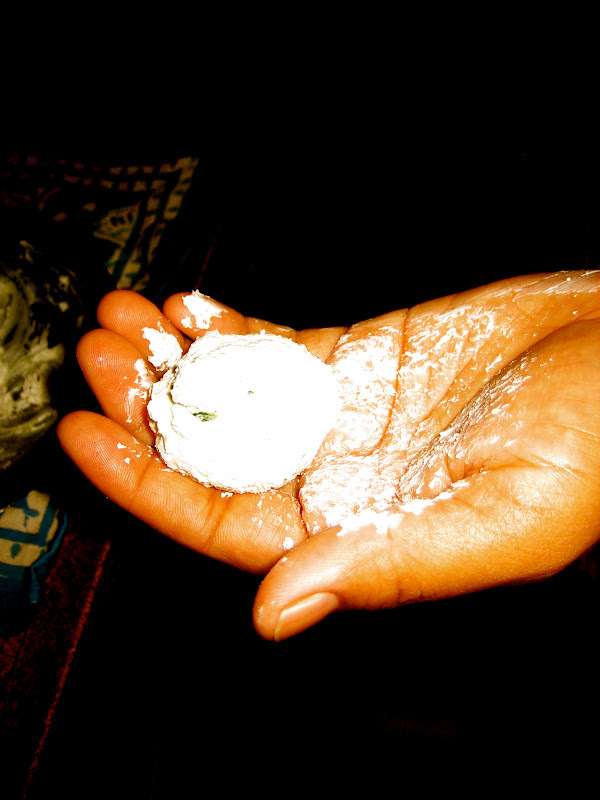 It is something which Dhi Vi Ya taught me to do, and I think its awesome. Im not sure though if Sweet Lime (Mausambi) is still available in the market, but I think you may substitute with lemon if you most absolutely must. This was part of my attempt to submit a recipe to a cookbook which makes everything out of waste, and the philosophy was not to throw anything away, I dont really know if I succeeded entirely, but I participated, and participation is important. "If you never try, you'll never know." (Yes, I think this Coldplay song can teach me about life). So, coming back to the topic for today, Wealth out of Waste. Yes. 1. 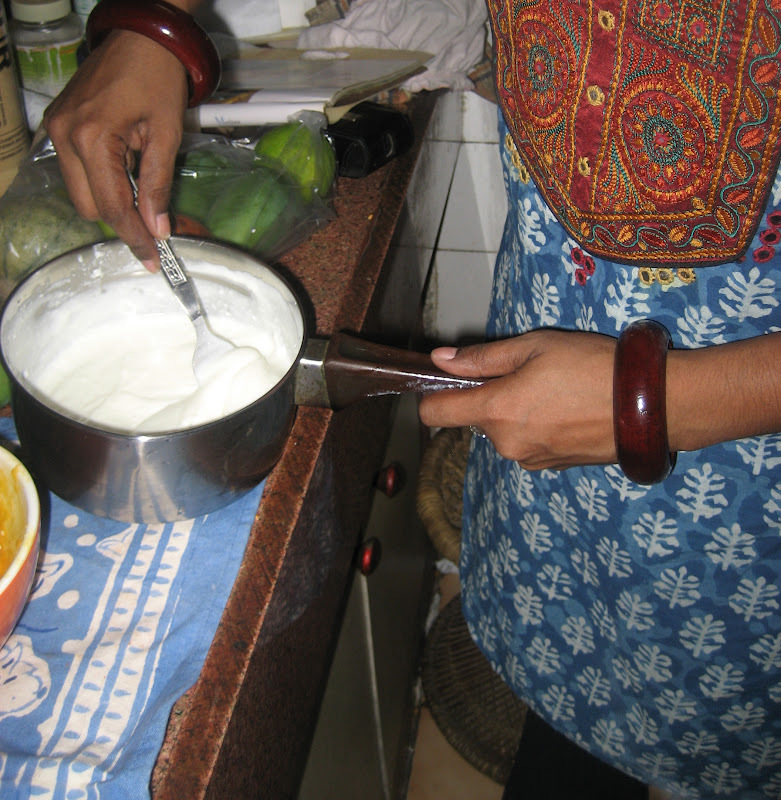 Bunk the dahi into a strainer, and let it be there overnight. You can let it be outside for around an hour, and then put it in the fridge, otherwise you risk the chance of the yogurt turning sour, which isnt cool really. If you dont have an overnight, you can let it be for six hours. The idea is to get all the water out. Once the water is out, either drink it up, or make cottage cheese (paneer) out of it. I will tell you how when I feel like, not now. This is what is left, I always knew they cheat. 2. Take a sheet of newspaper, fold it and keep the marie biscuits under it. Now wham the biscuits for all they are worth. 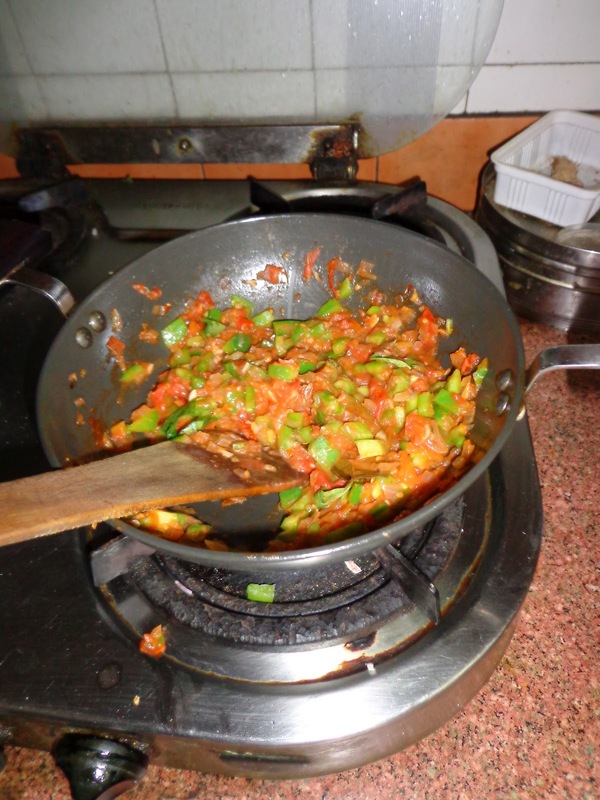 Mix them with the butter, and put the mix on the bottom of a dish of any kind, even a patila will do. After youve kept the mix at the bottom of the dish, just even it out with the base of a glass. Now, you may put the dish in the freezer for an hour, until the biscuits are set nicely. 3. 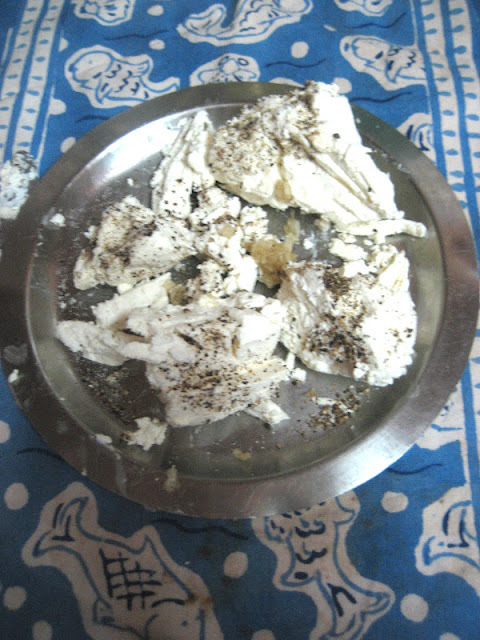 Once the freezing is happening, grate the mausambi finely, until you get a tablespoon of rind. Then, cut the mausambi in half, and squeeze out the juice, and remove the seeds. Once thats done, peel it and keep the peels aside. 4. Now, the exciting wealth out of waste part. Tear out the rest of the mausambi (the inner parts) and keep aside. 5. 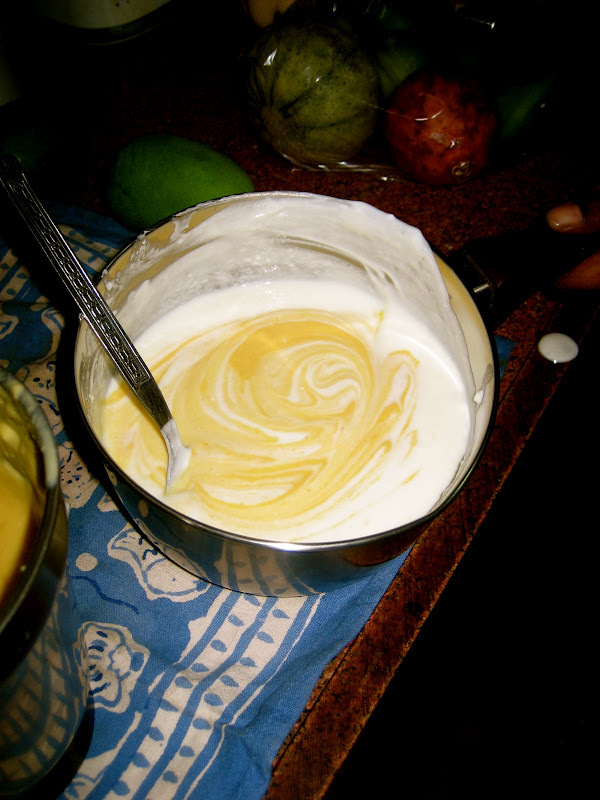 After all this is done, take out the dahi from the strainer, and blend the dahi and condensed milk together. Add the inner parts too at this stage. Otherwise you are in trouble. 6. Once thats done, take the mix out of the blender and put it into a bowl. Add the juice and rind, and mix once more. You can add the gelatin now. Oh yes you can. 7. Now, you add this mix on top of the biscuit base which should be done by now, and set it for around 6-9 hours. 8. Take it out, stare at it, and enjoy it. It was so good, I gave my lovely guest Roshni some to take home. Unfortunately, I dont have a picture of the whole thing, because I ate it up, but I did enjoy the last bits with Divs. Here is a picture of that, with her elusive red flower clip. Once upon a time on the long road of life, I used to wander about in the hills. When I was in the hills, I used to make hilly billy pasta. So you should make it too. 1. 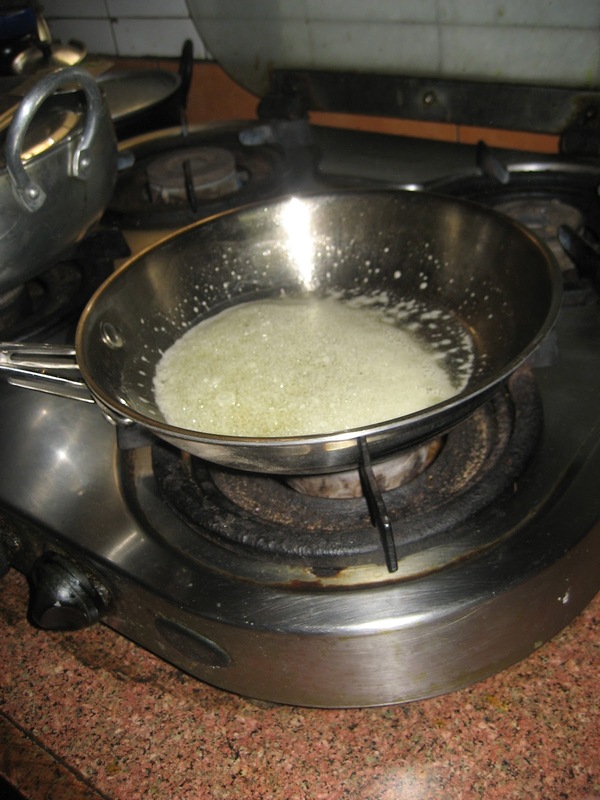 Heat up one tablespoon of oil in a wok. Once its hot, add the bay leaf. Let it swim around, and then add the onion and garlic. 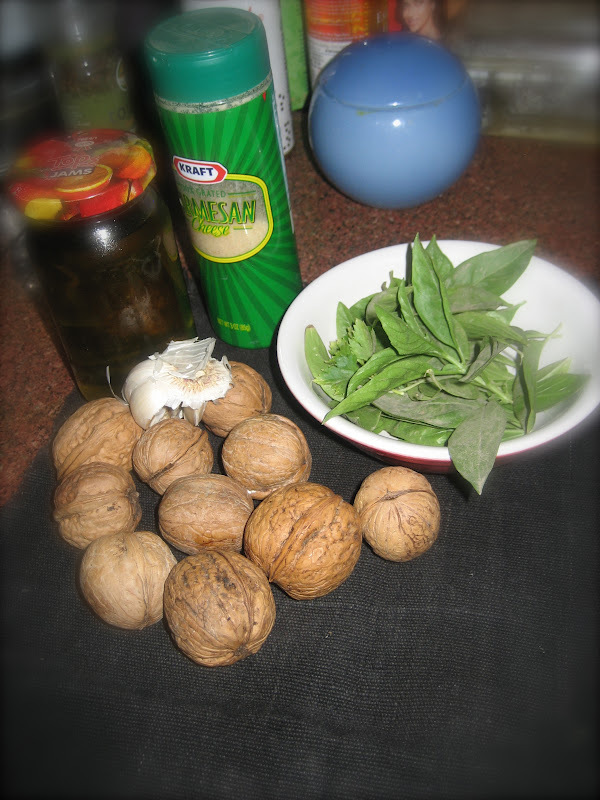 I added the garlic and bay leaf together, but you can add the onion after that, or just put all of them together. 2. Once the onion and garlic are slightly brown, add the tomatoes and salt. 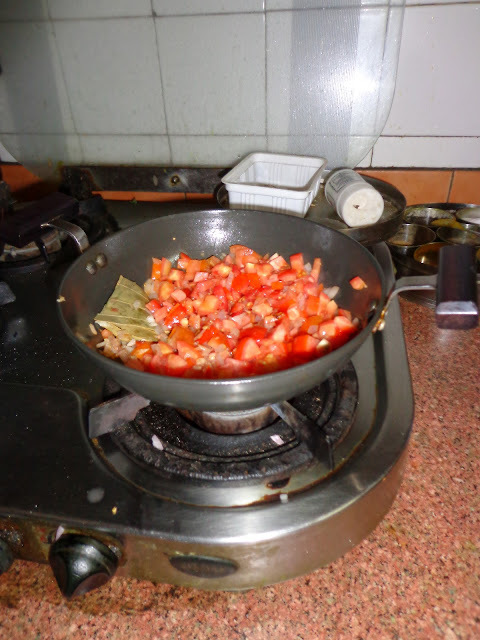 Keep cooking this until the sauce reduces in volume, and the tomatoes start looking visibly redder. Add the chopped capsicum at this stage. For the uninitiated, capsicum = green peppers. 3. 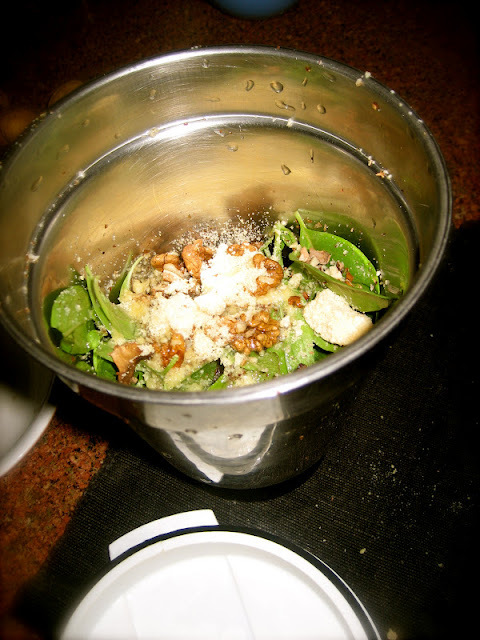 Put the gas off, and add some oregano and other related seasonings on top. 4. For the pasta, boil the water with the oil and salt. Once its almost boiled, add the pasta to it. Keep checking to see if its done. I have a shady habit of tasting (and actually enjoying) semi-cooked pasta, but thats just me at my choonistic best. You dont do this please, just take it out when its done. 5. Strain out all the extra water, and keep the pasta aside. 6. Serve the pasta with the sauce. 7. Do a little hilly billy dance. 8. Make sure your guests clean up the dishes and also spread peace love and compassion. There is something with me and trying out new cooking techniques. I have always wanted to properly caramelize anything, and I thought using up fruits in my fridge was a good idea. Anything seasonal is what I love cooking with these days, it is actually satisfying to eat what is growing fresh and available at my local mother dairy. So, I made this dessert a week back, but my life is playing the hectic game with me, so Ive only gotten time now to post this. Also, I love Somya Lakhani, just so you know world. Ok so here goes. . . This is really easy I promise. 1. Chop up your fruits, except the cherries and plums. Trust me, on the long road of life, the seeds in the cherries and plums is not a problem. 2. Add the butter to a pan, and let it bubble up. 3. Add all the fruits. 3. Let them swim around in the butter a bit, and then add the sugar. 4. The fruits will start getting soft, and that means youre on the right track. 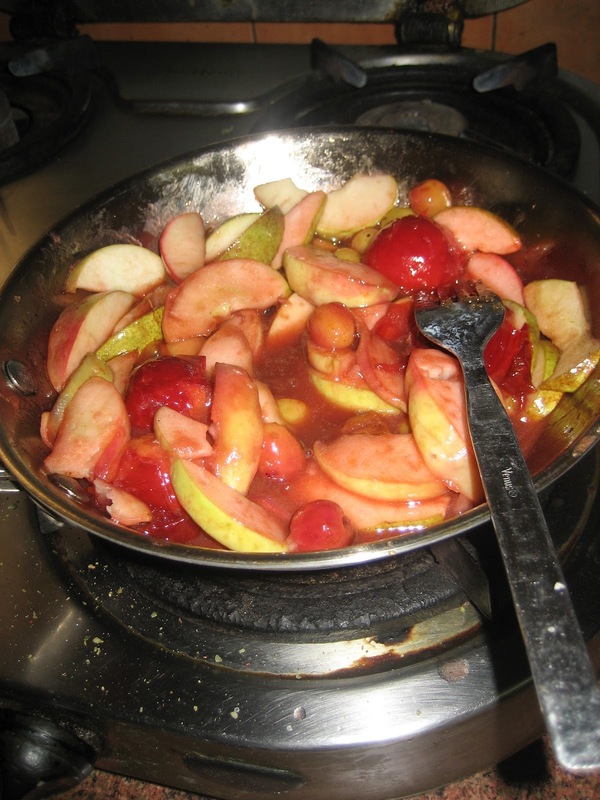 Also, the plums will smush up a bit, and very soon, they will make a sauce of their own. You can add the cinnamon powder and vanilla essence here, or you can omit them too. 5. Once its reached the no mush, no crunch stage, take them out, or actually, a little bit of crunch goes a long way. I like my fruits not completely soggy, so when I saw them getting a bit mushy, I took the fruits out. 6. 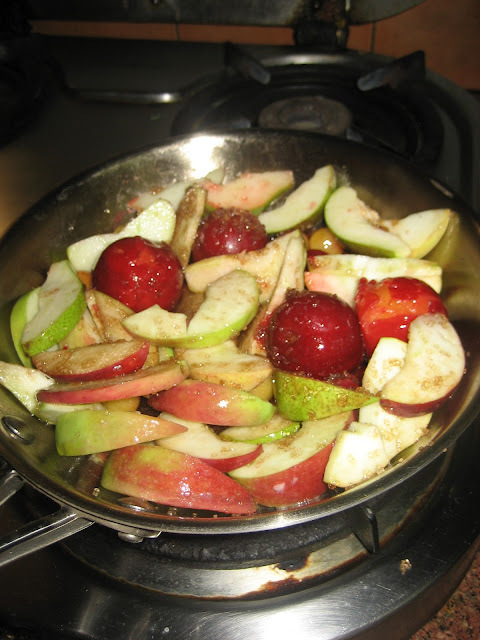 Once all the fruits are out, you can use the plum sauce in the pan as an add-on, dont you dare throw it away you choon. 7. Transfer to a serving bowl, and add the plum sauce on top. 1. Lightly whip the cream, and add powdered brown sugar and vanilla essence. Youre done. The final product looks something like this. This recipe is super simple, and a great accompaniment to a sunday lunch. I know it makes fruits super fatty, but why are we on earth anyway?! To eat, meet, and greet! On that really cheezy note, I am gonta sleep. See you soon choons. Also, keep a watch for my up and coming handwritten recipes series. Peace and love and lots of compassion..
Hello choons. Ive been wanting to make more things which I can keep in the fridge, and give out gingerly when people beg for it, so I decided to make pesto a few moons back. What happened is that my parents went off to the hills and brought back some whole walnuts with the shells on. I also have a lot of fresh basil growing in a pot outside my house, so I was sorted on these two ingredients. The others are easy to get, you dont have to travel far and wide, its not exactly fiddlehead ferns or anything. This pesto is not really grainy, but is of sauce consistency. You can make it how you like really, your kitchen is a democracy. 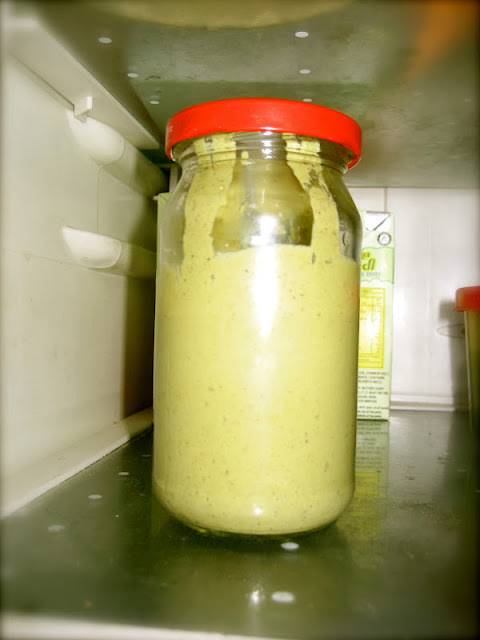 Also for this post, the title means the pesto is ready in Italian. My lovely friend Neeharika is learning Italian and it is always good to associate food type with the actual language in my opinion. Whatever. So now Im gonta write the post. Ready, steady, start. Blend everything together. Seriously thats it. 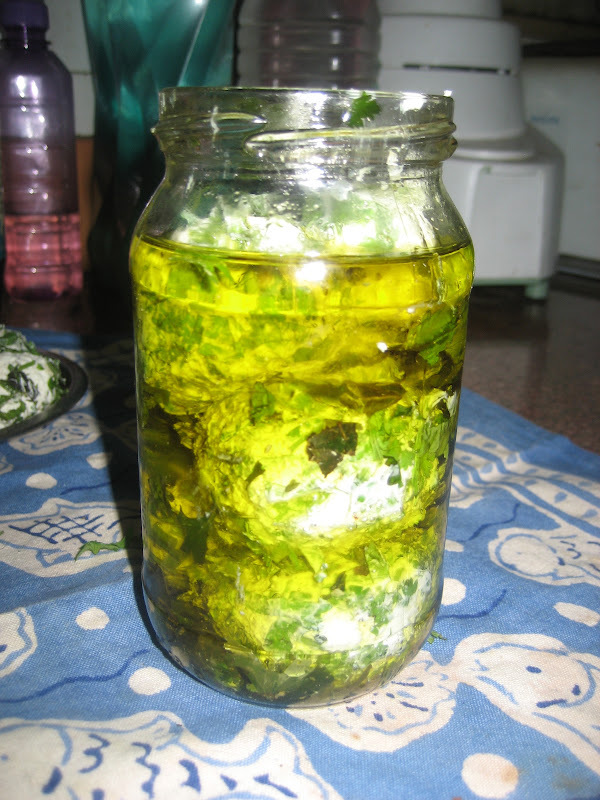 These quantities make less than a small bottle, but the taste is so good, and the pesto is so potent, that a small teaspoon of miserliness goes a long way. Also, I had to add the juice of half a lemon and some sugar to make the flavors come together, it was a tad bitter otherwise. You can taste and make up your mind. This is so tempting, I can eat it like chutney. But I make sure that I take only small quantities out of the bottle, because it is really potent. Anyway, you do your thing, I do mine. But make the pesto, will go a long way. So today is Father's day, and although ive never really celebrated it earlier, it is a great occasion to show off my cooking skills and make my father feel special. He is wonderful really, however grudgingly I may admit that. I remember once, when I was 17, I had failed all my exams mostly. My "class teacher" (never understood this, as opposed to what kind of a teacher?) warned my father and said that, "She will fail in the boards!! Understand this Mr. Menon!!" How did my father deal with this? He took me to Sagar ( a wonderful eatery for South Indian food with chains across my city) and fed me doshas. He then took me home and calmly sat me down. 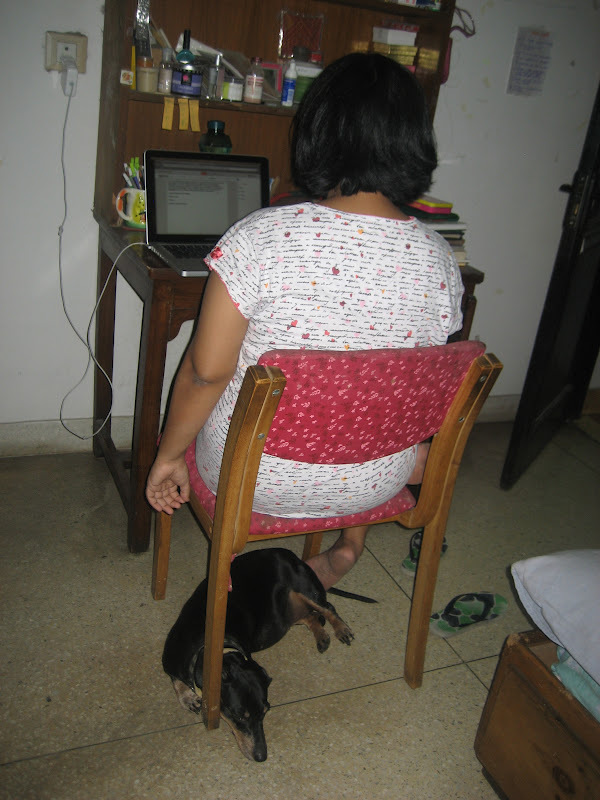 He said, "Baba, you really need to study now. You shouldnt fail. Even though I dont care, but do it for yourself." That was all I needed. I sincerely studied a ton, and got decent marks. He has another wonderful quality. He never pushes me to do random stuff. If I cant do something, or dont want to, he never will say, NO YOU HAVE TO. He is a tennis coach, and I am not even remotely inclined to sporty activities. So he never said that I will have to be the next Steffi Graf (shes my favorite of all time :D). I barely know how to play tennis, and Im in a happy space. And I love that he gives people so much joy through his work. Ok enough said. Back to cooking. Yo. can truly take out the pulp properly. You can also use a spoon you prude. 2. Keep the pulp in a bowl, and add the crushed paneer to it. 3. Whip the yogurt till it becomes smoothish, but not lassi like. My lovely friend, philosopher, guide Dhiviya did this step. 4. 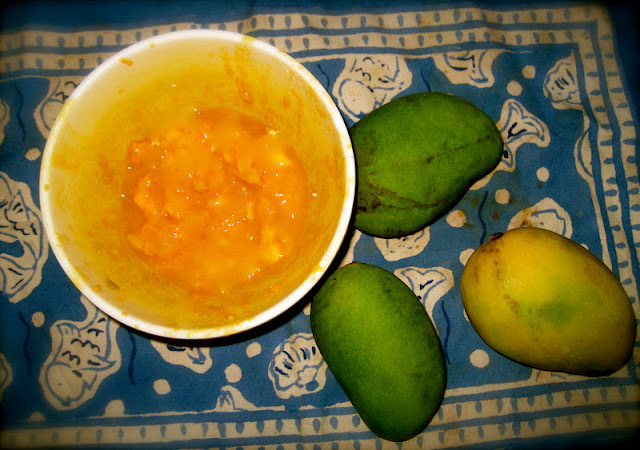 Add the condensed milk to the bowl with the mango pulp and cottage cheese. Add the contents of this bowl to the mixie and blitz away! 6. 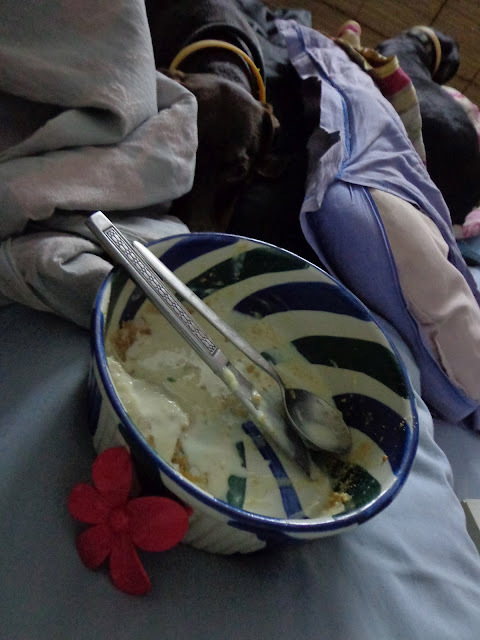 Fold in the contents of the mixie to the yogurt bowl ( it is a saucepan here, go figure). Notice the concentration. 7. Notice the lovely marble type formation, and the yonex container. Once upon a time it had tennis balls in it, now it has podi in it. (Podi=gunpowder chutney) We never throw old tennis ball containers away in the Menon household, oh never never. And here is a close up. . .
8. Add it to a decent we can serve this to guests bowl. Freeze till you want to eat it. Around four hours is gooch. All the best with this choons. Ok so Zulu needs to walk. She really does. Blah. 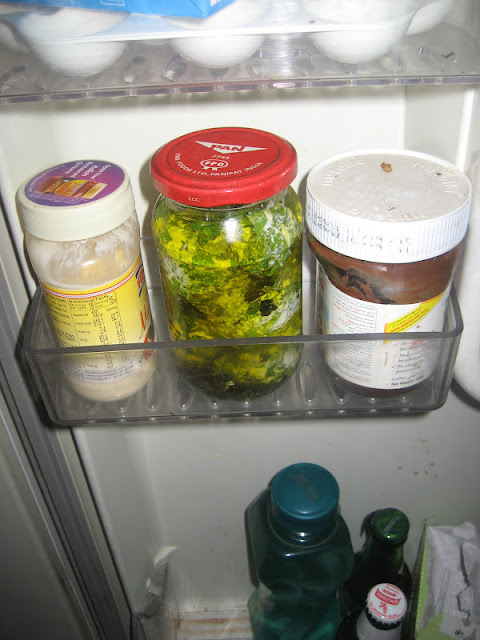 Today I will show you choons how to make labne. Labne is this middle eastern dip/spread on bread thing. I dont know where it originated but I love it. And I suggest you make some too. I made a second bottle but my house baby Ria was chillaxing one day on the kitchen slab and she broke it. So im going to try again soonish. Anyway, labne. I havent blogged in ages and so im really rusty and all embarrassed that Ive lost my touch, although I really doubt it. So here goes. . . .
1. Add all the yogurt on top of the cotton cloth, and tie the cloth up in a bundle type thing. Then, tie it to your kitchen tap. Or any place from which you can hang things. After some time, considering its 45 degrees outside, put it in the fridge. 2. This process should continue for 24 hours, or atleast 12 hours. The idea is for all the extra water to come out. 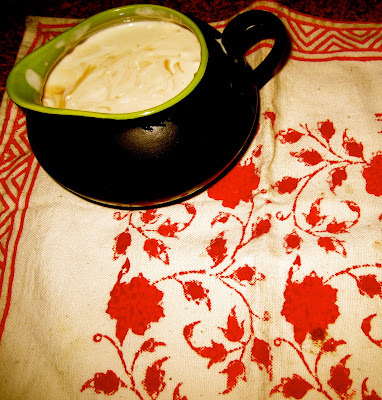 You can use homemade yogurt but it takes really long, or atleast I feel so. I apologize for no pictures. Sniffles. 3. Once you take it out of the cloth, look at it closely. 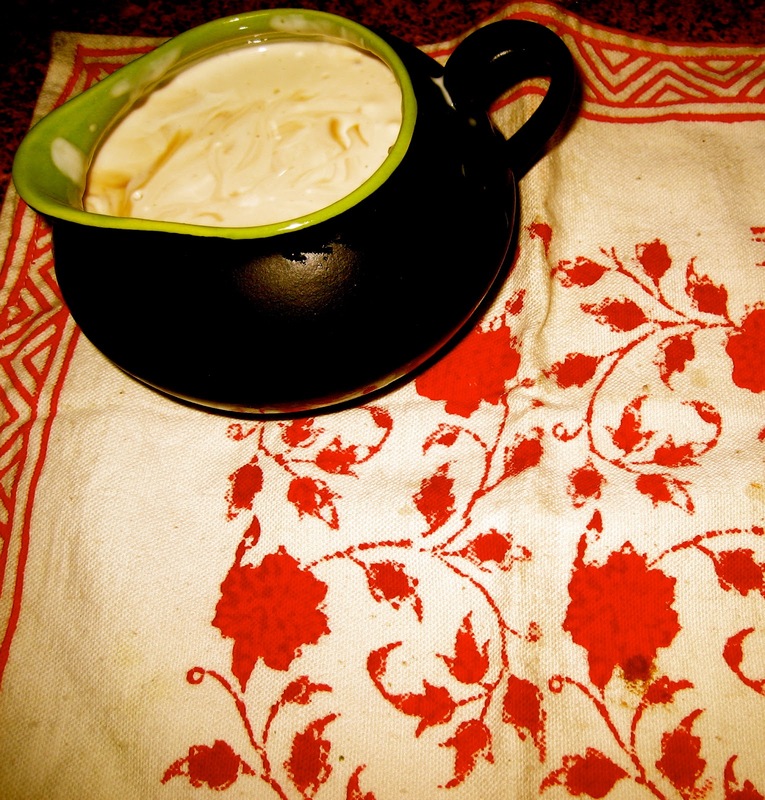 It is necessary to realize that you've made yogurt cheese effectively. You can make cheese at home. Wheee. 3. Carefully add the salt, pepper and garlic to the cheese and mix around. 4. 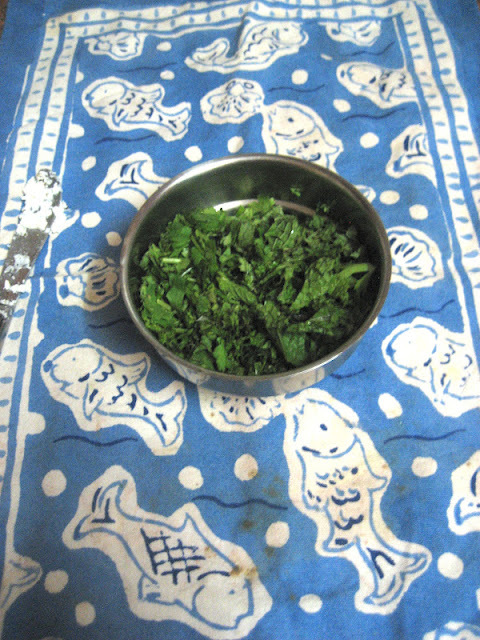 Prepare a herb plate/huge katori, which is essentially just the coriander and mint on the plate/huge katori. 5. 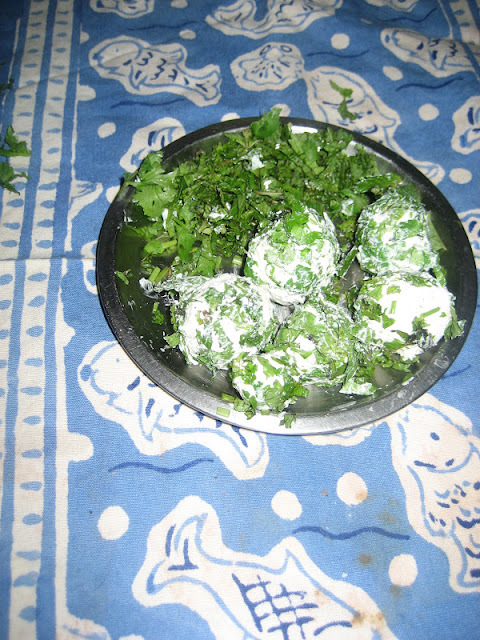 Roll the yogurt cheese into balls, and place it on the herb plate. Coat it with the herbs. I love this picture. You better love it too. 6. Put a little olive oil in the glass bottle. Add some of the balls, and then put some more oil. Repeat the process until all of them are finished. 7. You now have a perfectly acceptable bottle of home-made bread spread. It looks awesome, so show off value is high, 9 3/4 / 10 types. 8. Put it in the fridge. Ignore the lets-put-on-weight Nutella and the fake mayonaise. Also, for choontaintment, look at Zulu's latest hiding place. Shes so in your face sometimes. Shes right under my chair. And we dare not disturb her fiefdom because she bites. Ok, thats it for now. See you later gators. I realized what love is one day when I called up my mother and told her that my mobile phone has stopped working. I was howling. She calmly told me, "Why worry? I will buy you ten more. Now stop crying." Even I know she would never do that, but just the fact that she was willing to say that to shut me up convinced me that love exists. So this mother's day, I fell for the concept hook, line and sinker. I made her something. I mean thats how I demonstrate love these days. Make food. Get love. Mostly. So today, I present a delicious fruit cake. No, not the christmasy kind, but a legit-lets eat the fruit and not cut it up and stash it in a cake kind. You will soon see what happened. Boo yeah. 2. Mix all the cake ingredients together. Put the dry ingredients first (flour, sugar, baking powder, salt). Then the butter, oil, milk, vinegar, essence and egg. 3. Grease a baking tin. Add the batter and bake for 20 minutes. Keep checking, it may take less or more time. Dont trust the oven, trust yourself. 4. While its baking, combine the sugar and water together in the microwave on high for five minutes, or over a slow flame. It should basically become sugar consistency. 5. Cut up all the fruits. 6. Make the custard cream by following package instructions, just replace the milk with cream. So first dissolve two tablespoons of custard powder in some water, then add that mixture to the cream, and bring to a boil. Once its ready, your cream is ready. Boo. 1. Take the cake out of the oven, and slather sugar syrup over it. 2. Then slather a layer of custard cream. Eat up all the extra custard cream. 3. 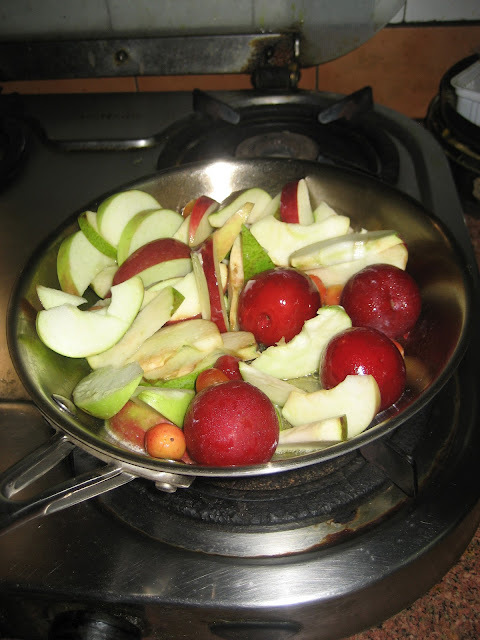 Then arrange the fruits as you like, and put more sugar syrup on them. 4. Keep in the fridge for a bit, say 20 minutes.